1st Lt. Jasmine Alexander may not have pinned on a star, but she definitely won the crown. Alexander, an Air Force intelligence officer stationed at Peterson Air Force Base, Colorado, was crowned “Miss Black USA” on July 10 in a pageant at the University of the District of Columbia, Washington, D.C., according to The Gazette (Colorado Springs). 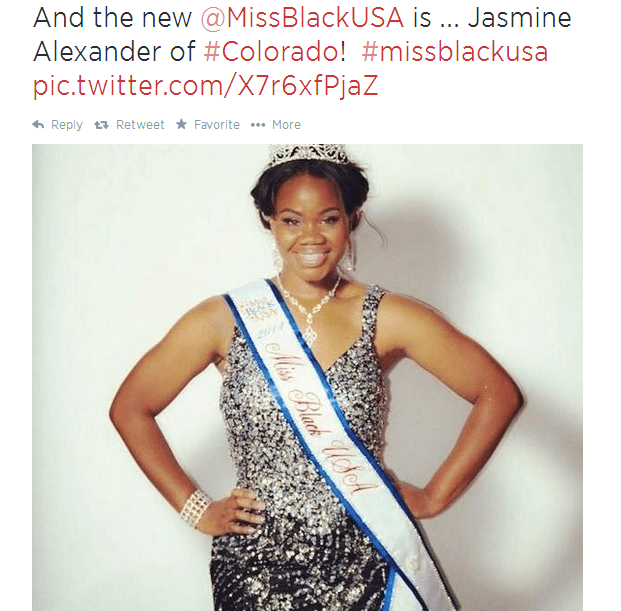 She also recently won Miss Black Colorado USA 2014. The Miss Black U.S.A. Pageant and Scholarship Foundation, Inc., awarded Alexander, 26, a $5,000 scholarship and a trip to Africa, the newspaper said, and Alexander will fulfill her pageant duties by promoting the Heart Truth campaign, which raises awareness about heart disease in women. Alexander, in the Air Force four years, was born in Ramstein, Germany, and is a military brat who moved about the U.S. before calling Charlotte, North Carolina, home, according to the Miss Black Colorado USA Facebook page. She has a bachelor’s in communications and public relations and a master’s in human services and executive leadership from the University of North Carolina-Charlotte.